An 18-year-old man was stabbed after he got into a fight with another man on a street in the Redwood Village area of San Diego, authorities said Sunday. 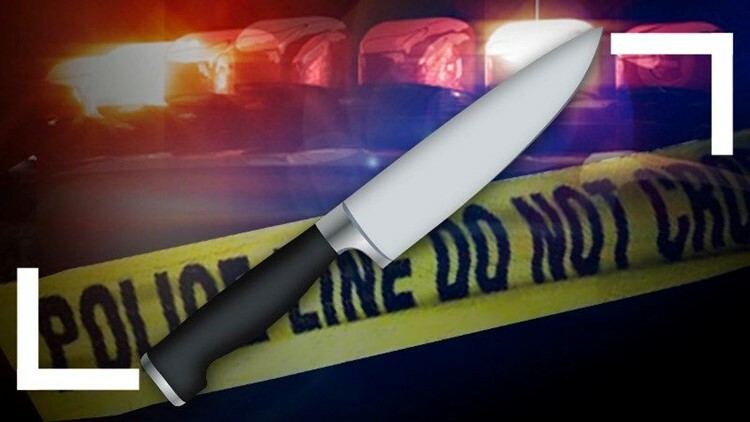 SAN DIEGO (CNS) - An 18-year-old man was stabbed after he got into a fight with another man on a street in the Redwood Village area of San Diego, authorities said Sunday. The victim was walking with companions about 11:15 p.m. Saturday northbound on 58th Street and got slightly ahead of them, San Diego police Sgt. Michael Tansey said. He was approached by a man with a heavy build who was walking southbound, Tansey said. The two talked briefly then fought and the victim was punched several times in the face and chest. "During the fight the suspect produced an unknown edged weapon and the victim was stabbed," the sergeant said. The suspect fled the scene on foot. The victim suffered a minor laceration to his face and right shoulder and was taken to a hospital for treatment, Tansey said. The suspect was described as a Hispanic male with a heavy build, wearing a checkered shirt and dark jeans.